Happy Friday! I hope you have great plans for this weekend. 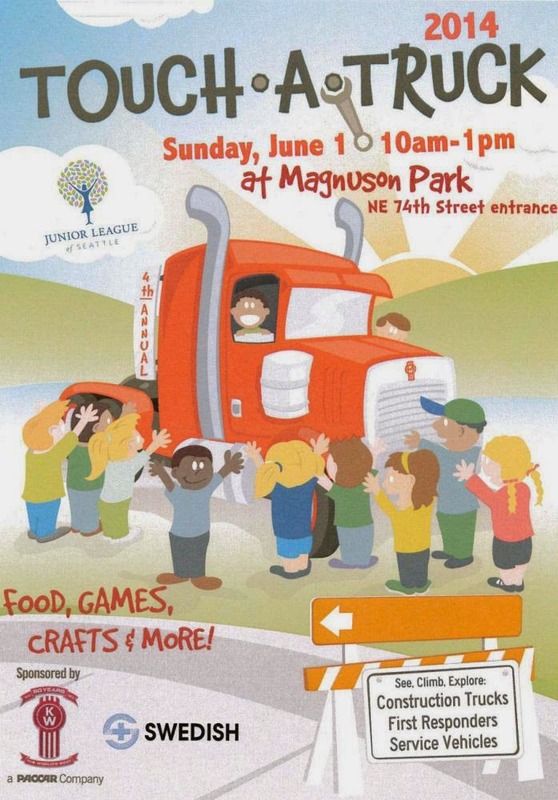 Chris and Ben are headed off to our local Touch-A-Truck event at Magnuson Park on Sunday. Otherwise, we’re planning on hanging out, enjoying the sun, and probably doing some (more) painting in the basement. Not the most exciting of plans but we could use some downtime after this last week. Chris has been on the other side of the country and the three of us at home are (hopefully) wrapping up a Spring cold. It stinks being sick when it’s gorgeous outside. In other news, Emma and I just got back from her checkup with the doctor. Girl is LONG: 90th percentile. I’m also grateful that she has a normal-sized head (50%, whoohoo!) and her weight (70%) is right where is should be. Emma also demonstrated her excellent lung capacity and volume during her routine vaccinations. I’ve never heard her holler so loudly. Poor little piglet. Peeps, can you guess the world’s deadliest animals? I got the first one...but forgot about #2! Frankly, #2 is pretty depressing. What depression looks like in animals (much like humans, evidently). Or, how Mr. G and Jellybean were reunited. This article is titled: “This four minute video of Anchorage will make you leave your city behind”. The video is gorgeous, especially the bits with the northern lights. Hiking in Spain’s Picos de Europa Mountains. Stunning, yes? Let’s go there. NYPost destroys Kim and Kanye’s wedding in five sentences. Made me laugh. Dads who do chores raise daughters who aspire to high-paying careers. Interesting. Regardless of career outcomes, let’s hear it for my darling lawn-mowing/dish-washing/laundry-doing husband. Major props to my tidy hubby. Most googled terms in each state. This is whacky, funny, and also kind of depressing. And last but not least, parent humor. The best of the bunch! Update: one more. 40 thought-provoking ads. PS: Happy Birthday G! Here’s to another great decade to come. Loved the Anchorage video! In typical small town ways, I know the family of the young man who made the video. Neighbors of ours and our kids were in school at the same time. It is truly stunning. Chris was ready to pack up and move back. :) Love that Anchorage still has that small-town feel of connected-ness.